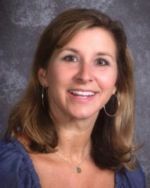 Gina Rischard has been teaching at PHPS since 2006. Before becoming a first grade teacher, she worked as a Reading Specialist in first grade, a reading fluency teacher for sixth grade, and a math resource teacher when needed. She has a B. S. degree in Education from the University of Oklahoma. Jeff Rosen has been the Physcial Education teacher at PHPS since 2003. He also serves as Athletic Director and Coach of after-school sports. He has a B.S. in Business Administration from the University of Rhode Island and a Masters Degree in Physical Education, K-12, from Adelphi University. VMail: 231 Logan Shannon is a 4th grade teacher. 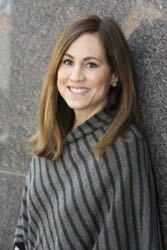 Logan joined Preston Hollow in the fall of 2013. She graduated from the Health Sciences Center with a B. A. in Science, Speech/Language and Hearing Sciences. Eleanor Sivertsen has been teaching 5th grade at PHPS since 2008. She has a B. A. degree from the University of Oklahoma. Pat Smith has been teaching fifth grade at PHPS since 1997. She has a B.A. in Early Childhood from Mount Mary College in Milwaukee, Wisconsin. Wendy Tibbitts is the Assistant Director. She has been with Preston Hollow since 2004, working as a teaching assistant, second grade and third grade teacher. She has a BS in Business Education from Texas Women's University. Diana Swartz is a 4th grade teacher. She joined PHPS in 2015 as a math teacher. She has a B.S. in Elementary Education from Hardin-Simmons University and a Masters Degree in Education from San Angelo University. Bret Turner joined PHPS in 2015 as a Physical Education/Science teacher. Before coming to PHPS he taught Elementary Science and Special Education for the past 10 years. He has a Bachelor of Science from the Southeastern Oklahoma State University and Texas Educator Certificates in the areas of Generalist EC-4 and Special Education EC-12 and Science 5-8th. Sue Walker has been teaching at PHPS since 1999. She began teaching first grade in 2005. She has a B. A. degree in Interdisciplinary Studies K-8 from Western Governor's University. Tammy Wooten joined PHPS as the Art Teacher in 2015. She has been a substitute art teacher at PHPS for 2 years and has taught art over the years to preschoolers and elementary-aged students. Tammy graduated from the University of Texas in Austin with a Bachelor of Science in Nursing. She loves painting Texas longhorns! Tammy is a proud parent of a current and former PHPS student.